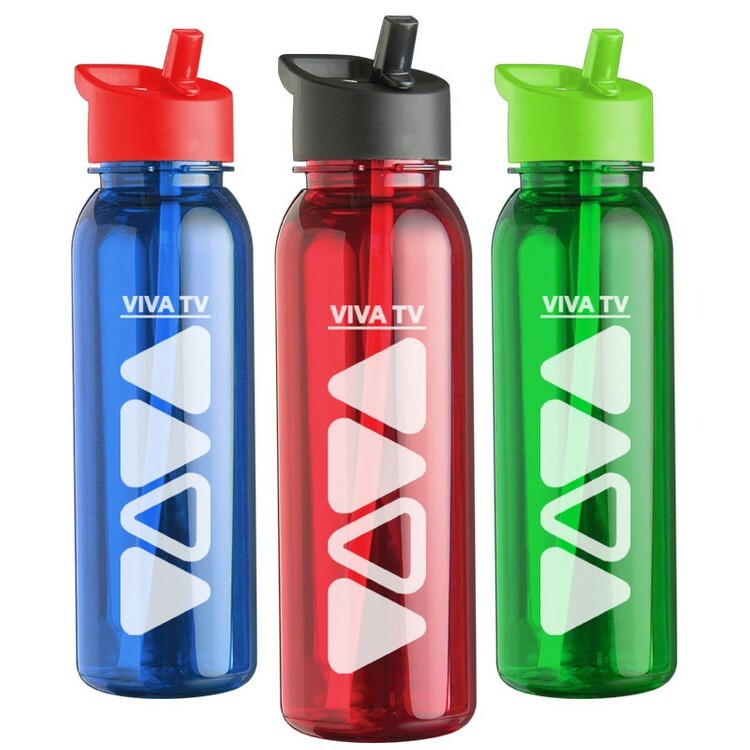 BPA Free! 22oz. 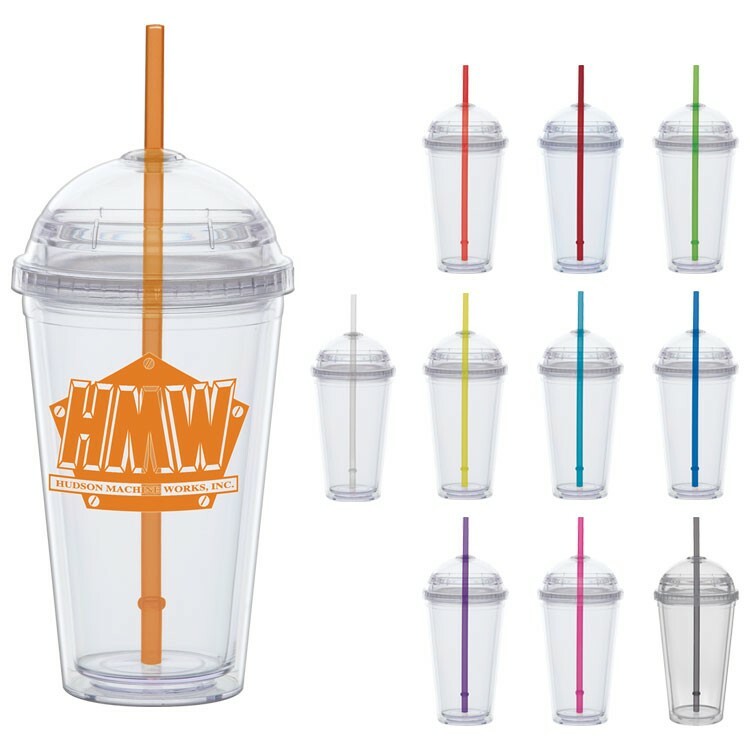 translucent acrylic double wall with matching PolyPro straw. 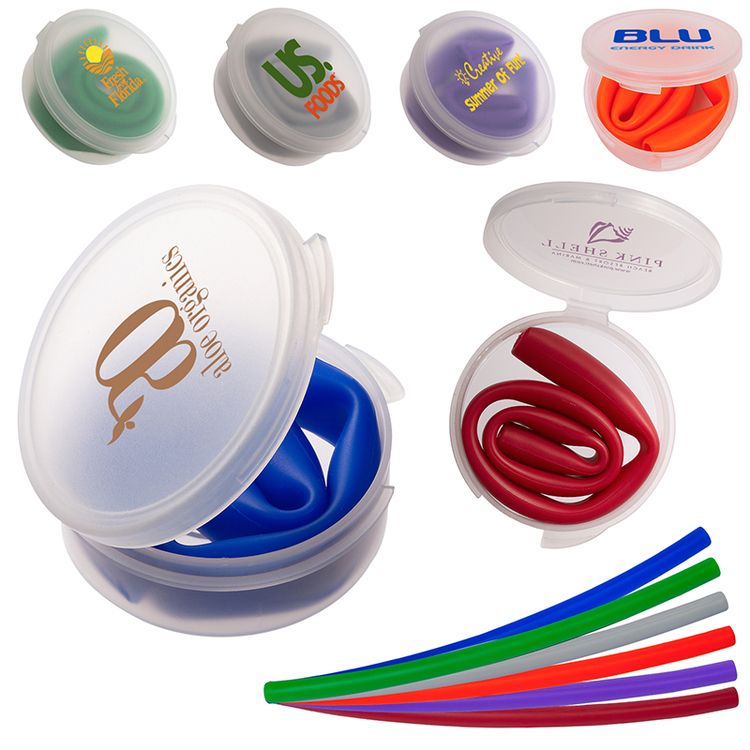 O-ring keeps straw in place.Twist top lid. 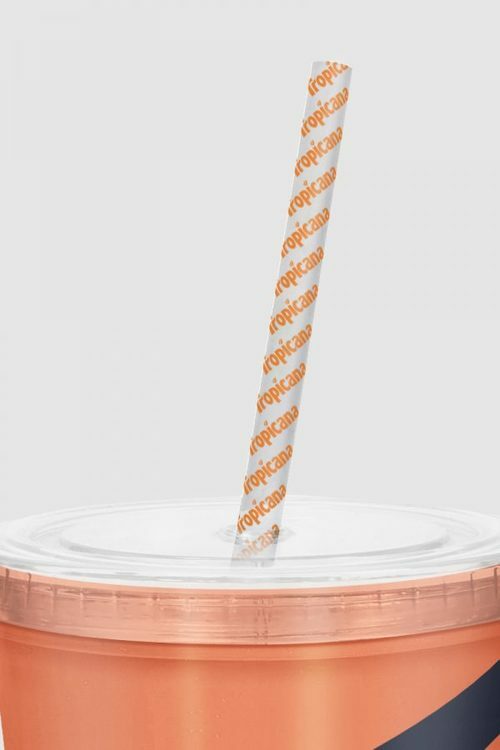 Biodegradable Paper Straws great for restaurants, fast food chains, theme parks, and stadiums/sports teams. 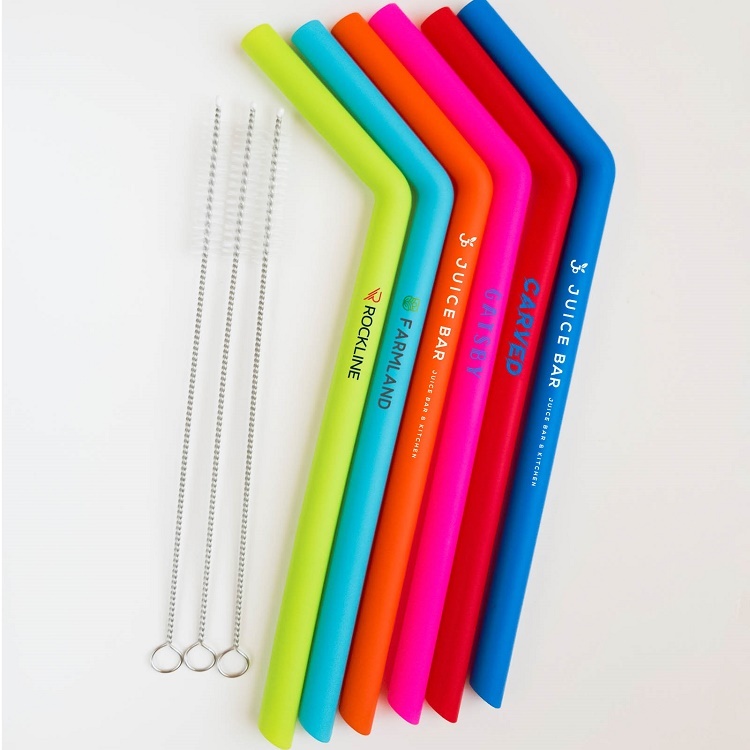 • Reusable Silicone drinking straw in compact round PP Plastic case. 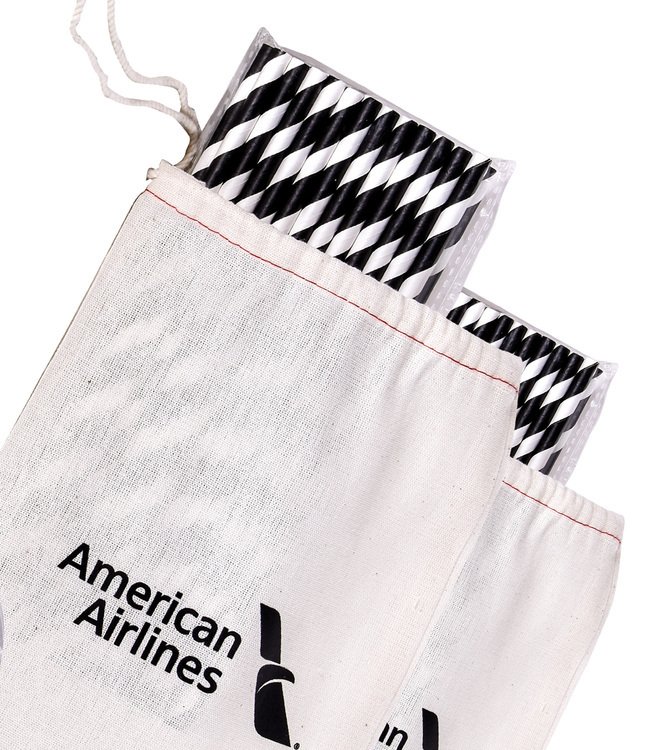 • Straw must be folded at slight angle to be placed back into carry case. • Cleaning instructions included. • Hand-wash only. 22 oz. 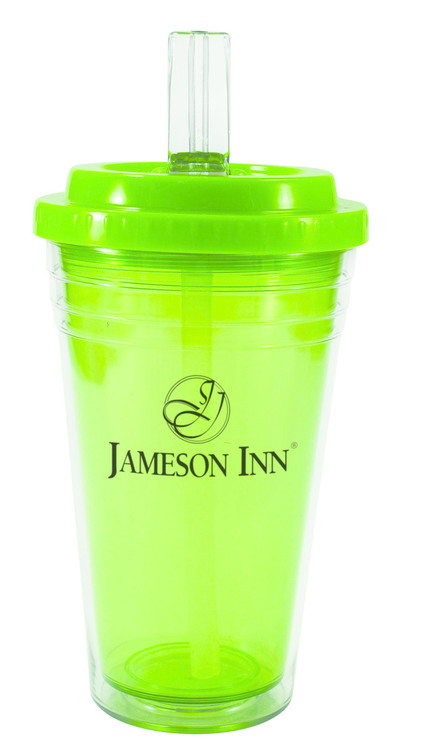 Frost-translucent Straw Tumbler. 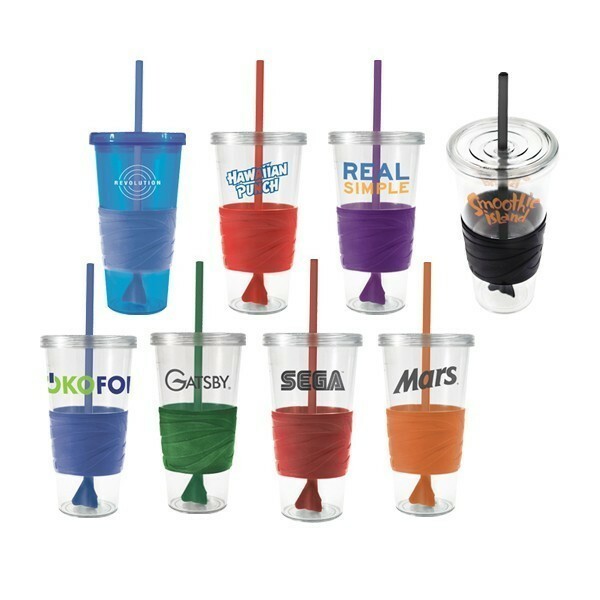 Mix and Match any combination of lid, straw and cup colors. 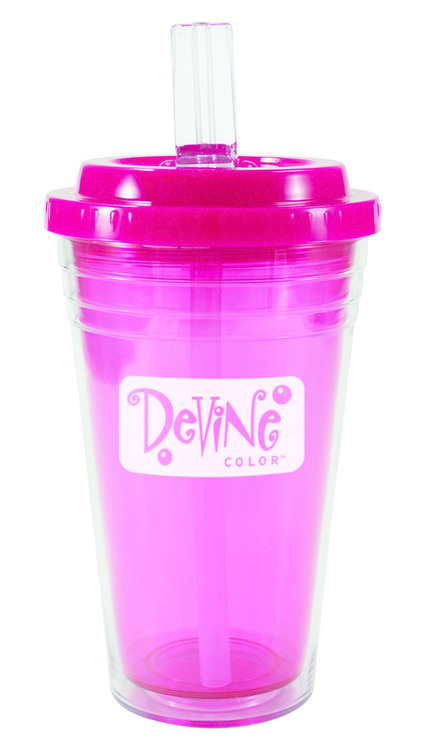 BPA Free! 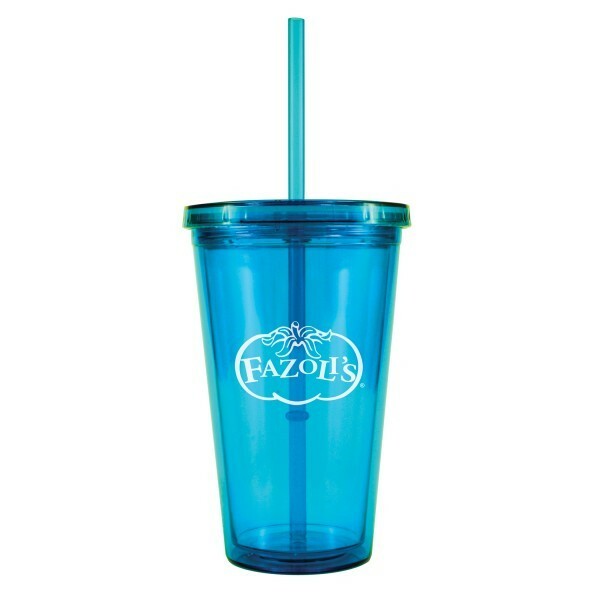 Double wall insulated acrylic tumbler with flip top sipper lid. High quality and unique design. 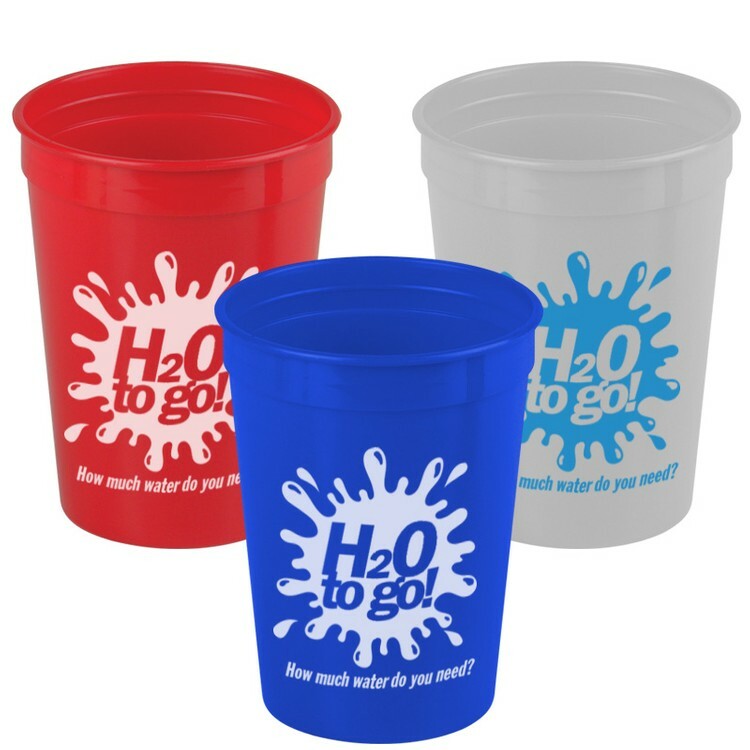 BPA Free! 22oz. 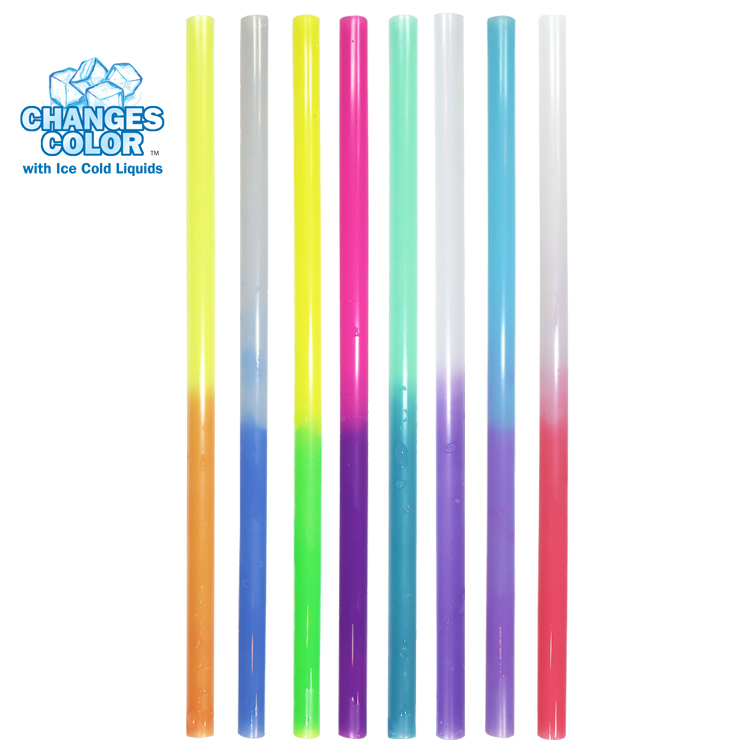 translucent acrylic double wall with matching straw. 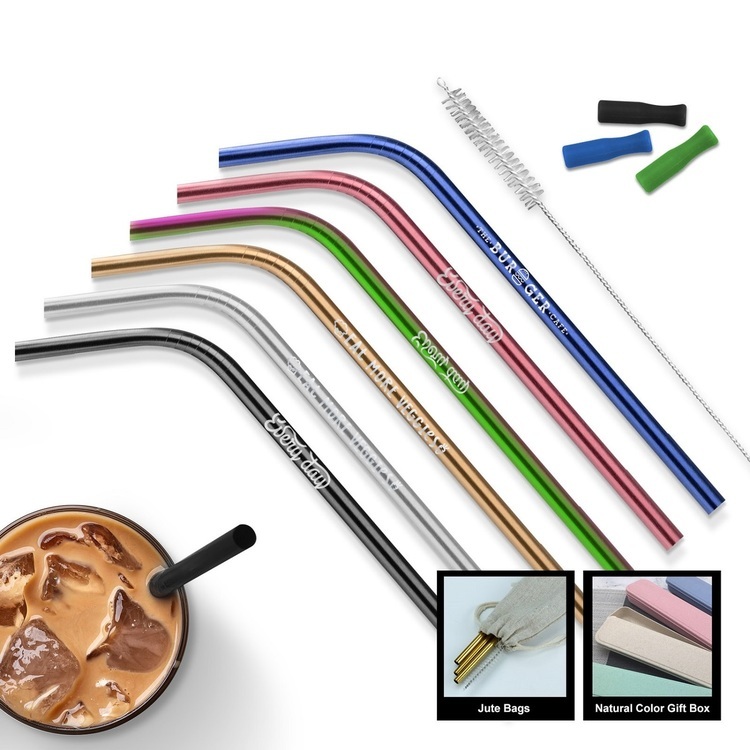 O-ring keeps straw in place. Twist top lid. 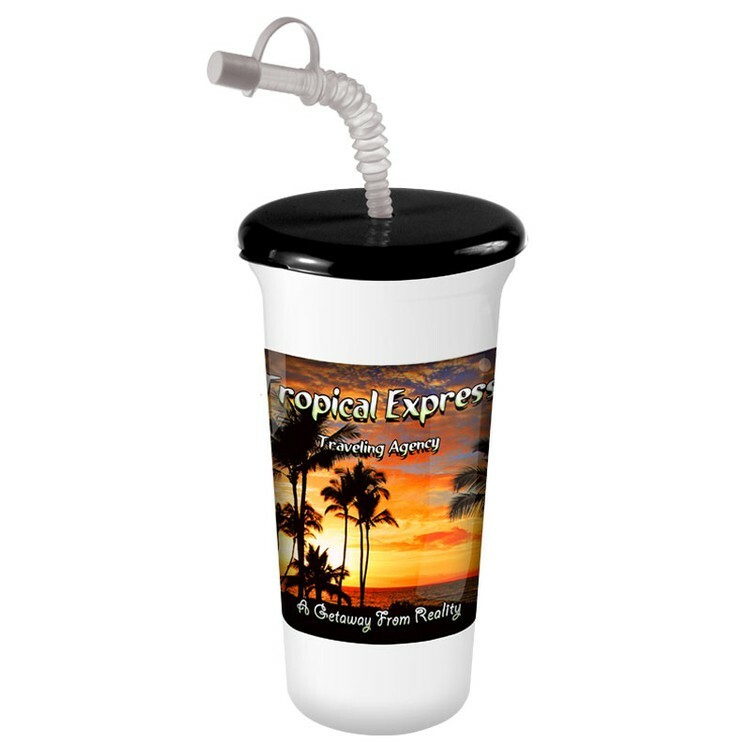 Jumbo Sport Sipper holds 32 oz.. It’s great for a long day at the beach or on the field. 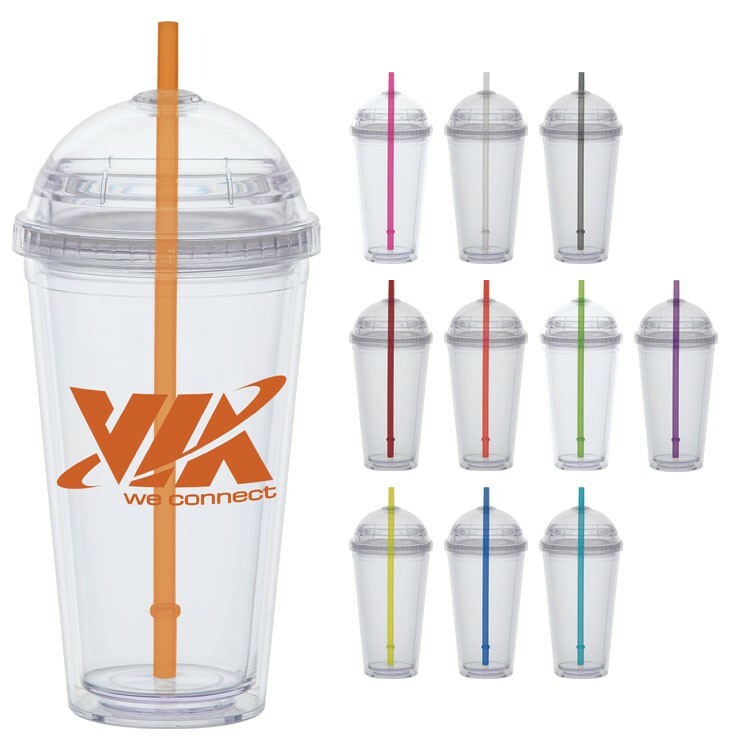 Price includes snap tight lid and flex straw with tip. 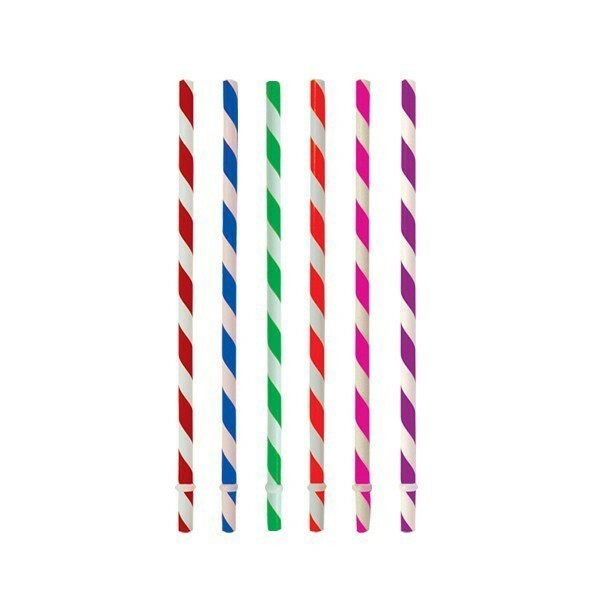 Straw Tips available in White, Red, Blue and Black only. Ships unassembled - each carton contains 50 cups, straws and lids. 17 oz. 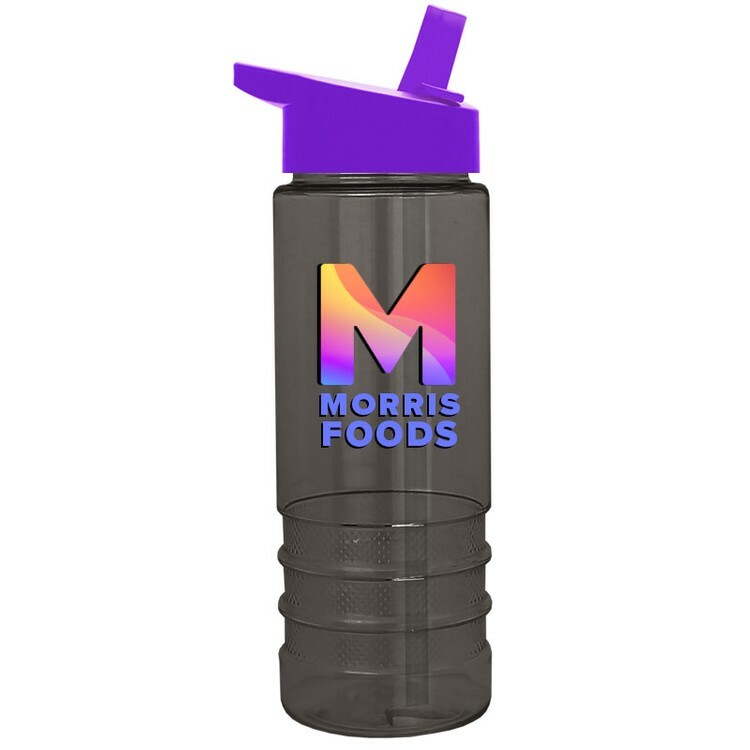 Tritan Curve bottle with new Flip Straw Lid. 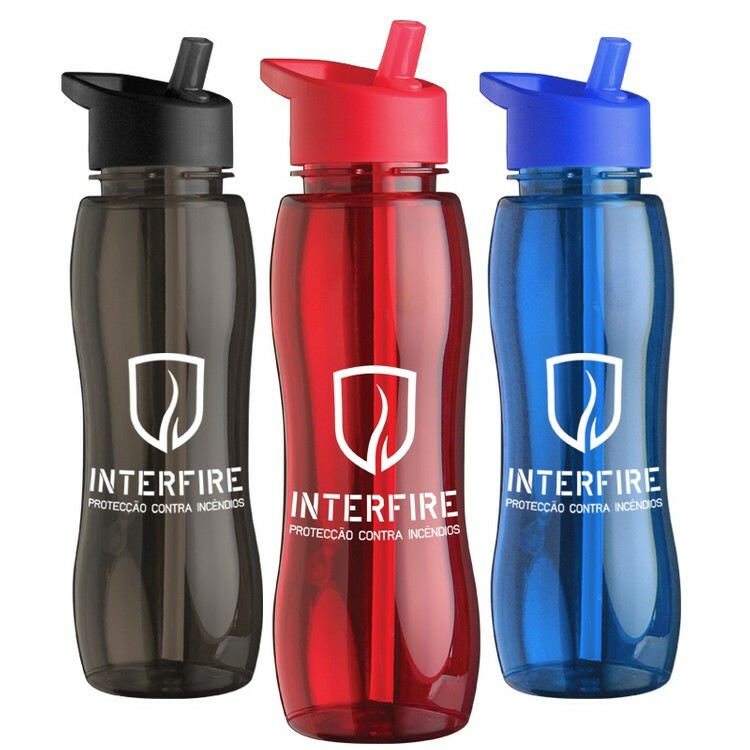 Strong, thick, durable construction, elegant style. Molded in USA. 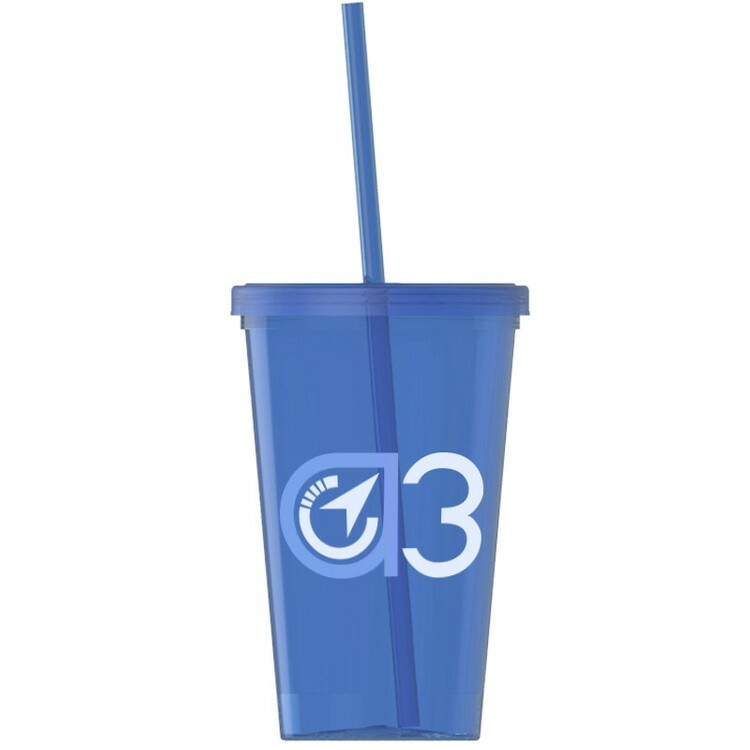 Choose from three imprint areas to display your business logo or promo message! BPA Free! 16oz. 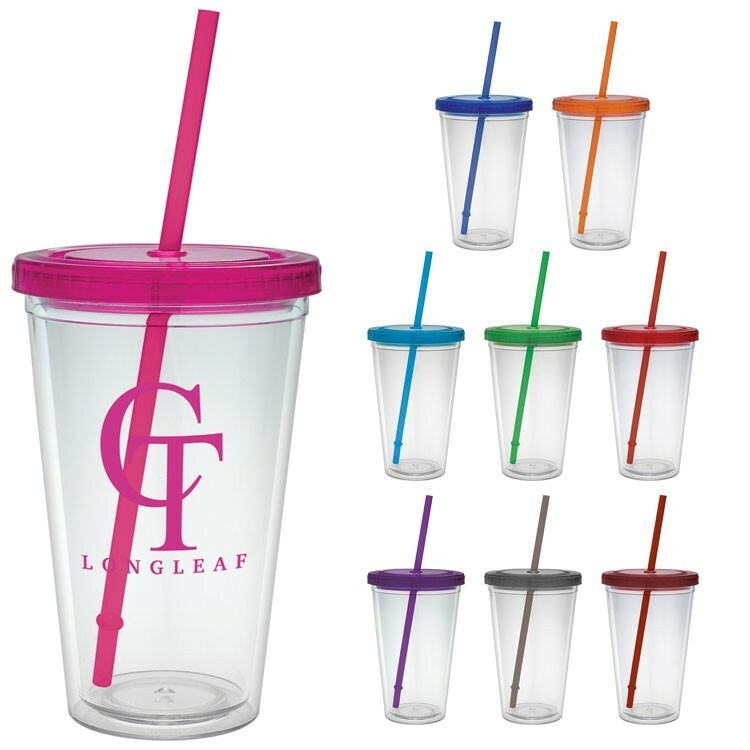 translucent acrylic double wall insulated cup and matching PolyPro straw. O-ring keeps straw in place. Twist top lid. BPA Free! 16oz. 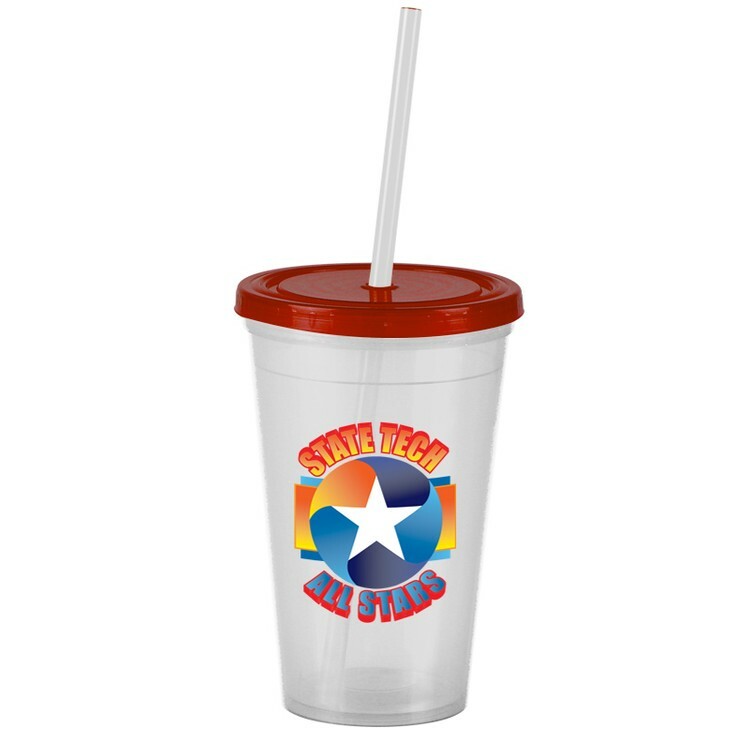 acrylic double wall insulated cup and matching straw. O-ring keeps straw in place. Twist top lid. 24 oz. 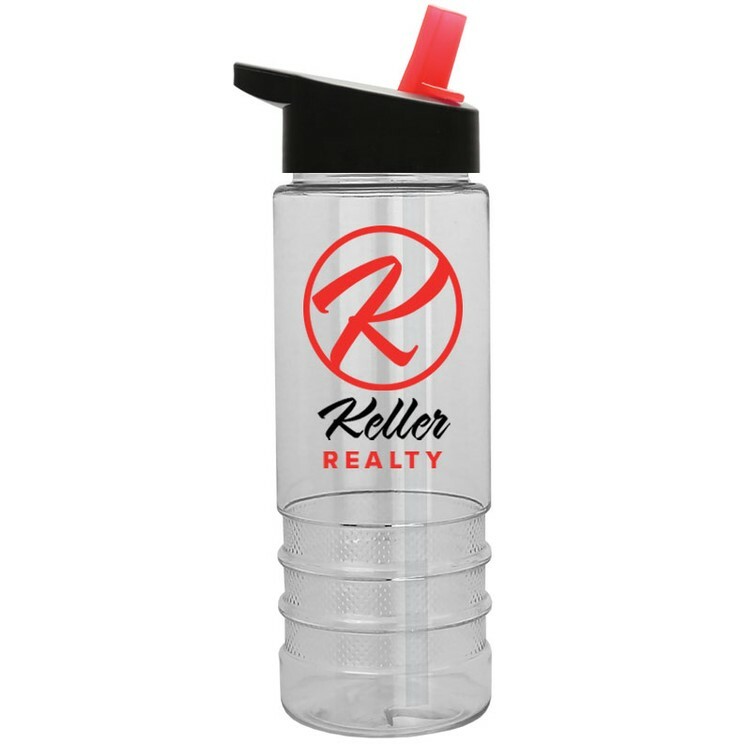 Wide mouth Tritan Salute-2 Bottle with Flip Straw Lid. 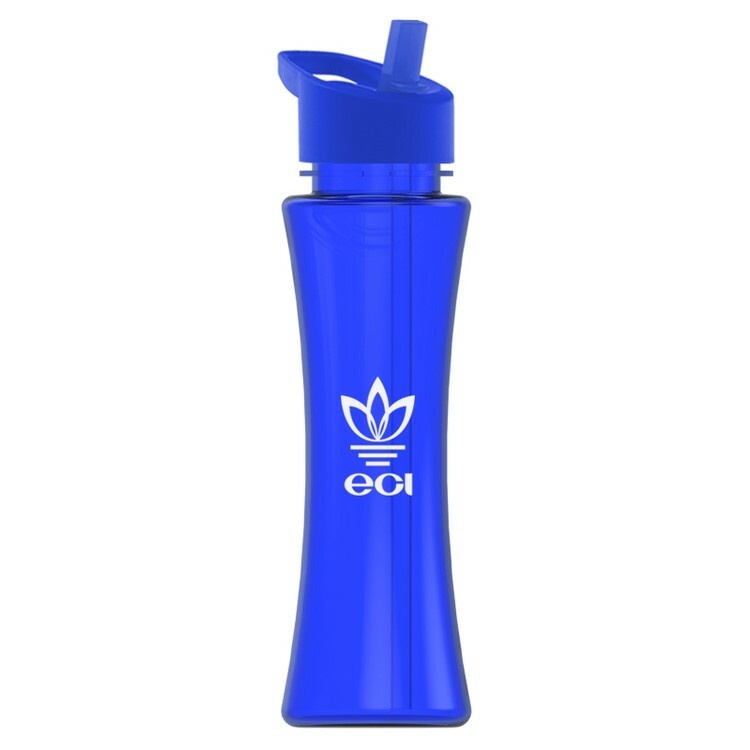 Rigid design, fits in most car cup holders, perfect for gym, hiking and traveling. 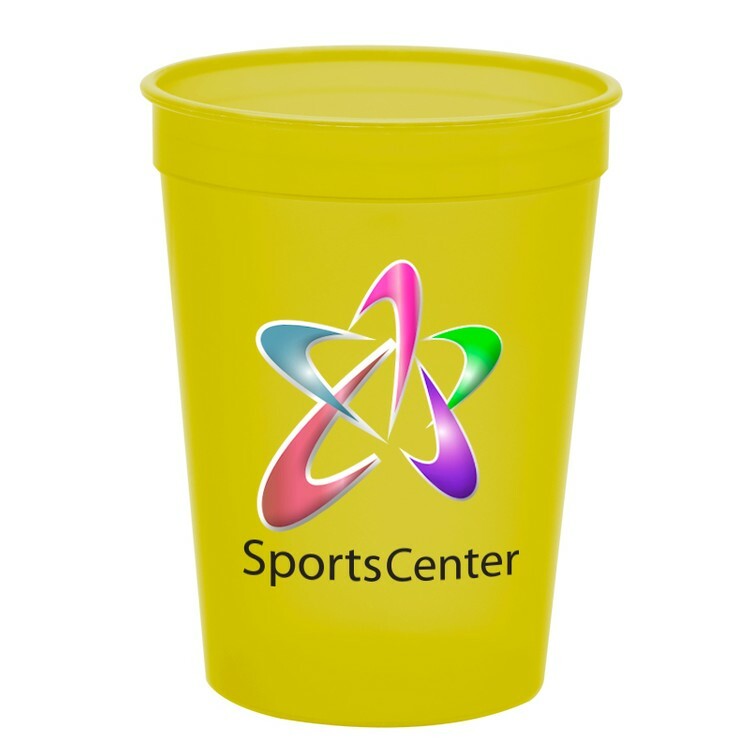 Large imprint area will allow you to promote your business. Molded in USA, BPAfree Tritan. Ships individually poly bagged, fully assembled. BPA Free! 24oz. 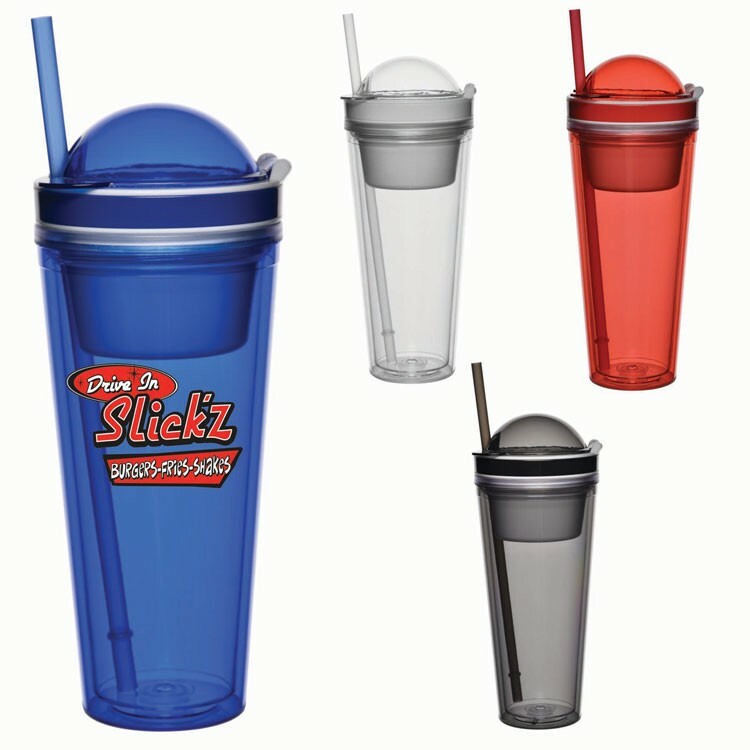 single wall tumbler with stylish rubber grip and unique stirring straw. 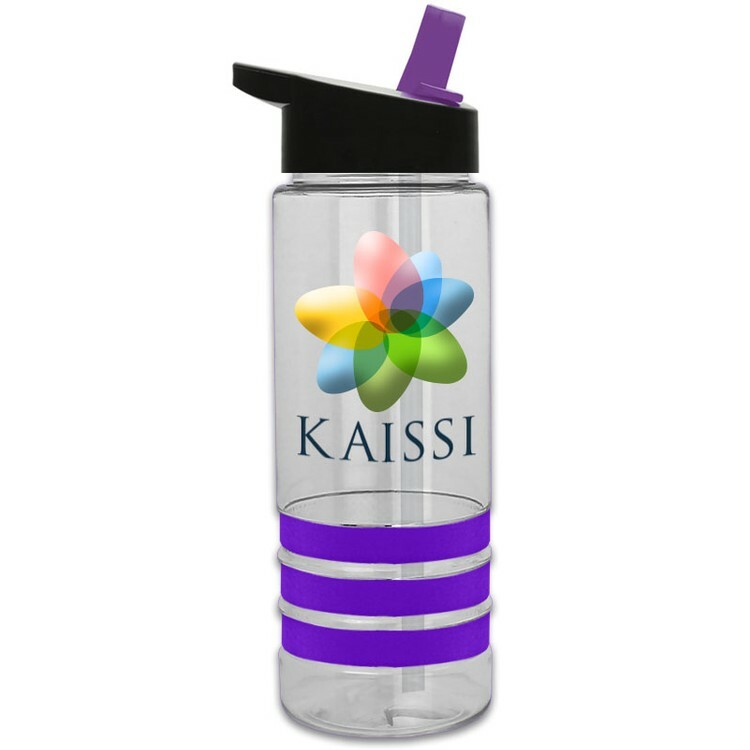 Band features a swirl design that compliments the swirl lid.